California; Nevada; All Nevada and California Federal Courts; California 4th District Court of Appeals; Nevada Supreme Court and the United States Bankrupcty Court, Central District of California. Since 1998, I have practiced in the area of multidistrict litigation and have represented hundreds of plaintiffs in pharmaceutical drug injury cases ranging from Fen-Phen to Avandia, securing more than $100 million for my clients. I have handled numerous construction defect claims, trying many to verdict. In 2007, I obtained approximately $2 million after four weeks of trial in a case styled Kearney v. Ferguson, Case #SCVSS112299. I recently settled a case styled Rancho Owner’s Association v. Outdoor Resorts of America, Inc., Case # RIC469533 after five weeks of trial. The case involved a litigated amount in excess of $6 million. I have a widely diverse practice ranging from professional athletes to Fortune 500 companies. I even tried a case in Las Vegas for professional basketball star Dennis Rodman. Since 2003, I have handled Trademark Infringement claims involving litigated amounts in excess of $200 million. In 2007, I obtained a $3.3 million verdict together with my partner, Shawn D. Morris, Esq., in a case styled Earthlite v. Earthgear, Case # 05 CV 0667 DMS (PJB). I earned my bachelor's in 1994 at the University of Nevada, Las Vegas, and obtained my Juris Doctorate from California Western School of Law in 1998. While at California Western, I was a member of the school's Law Review and International Law Journal. In 1997, I was awarded the American Jurisprudence award for trial practice. I am a frequent lecturer on litigation related topics such as insurance claims and construction defect law in both Nevada and California. Since 2008, I have been a volunteer youth basketball coach. I am an active member of the State Bar of California; State Bar of Nevada; American Bar Association; San Diego and Clark County Bar Association(s); Nevada Trial Lawyers Association; American Trial Lawyers Association; and the Consumer Attorneys of California. I was rated as an AV-Preeminent lawyer by Martindale-Hubbell, the highest rating a lawyer may achieve. 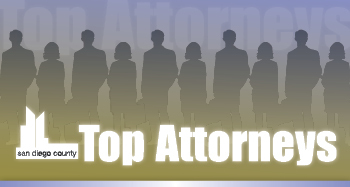 In 2011, I was nominated as San Diego "Top Attorney" in the areas of IP Litigator and Real Estate and Construction Litigation. In 2013, I was invited to join the Litigation Counsel of America as Fellow. The Litigation Counsel of America is a trial lawyer honorary society composed of less than one-half of 1 percent of American lawyers. I am also a member of the million dollar advocate’s forum and was selected for membership with Claims Litigation Management Alliance in 2012.